THIS is so good! My review posts tomorrow but I LOVE this book! More gushing will happen then. His throat bobbed. His kiss that time was deep and thorough, unhurried and intent. I let the dawn creep inside me, let it grow with each movement of his lips and brush of his tongue against mine. Tears pricked beneath my closed eyes. Oh, how I adore this book. I'm not sure how I'm ever going to stop gushing about it. I FREAKING LOVE IT. And we're getting closer to my review actually, you know, being posted. (Do you even know how difficult it is to put my thoughts into words? THIS. BOOK.) But until then, I must just say that this book is absolutely fantastic. And I love it. This post is amazing... first we have Boyce and OH MY GOSH HOW I LOVE BOYCE... but then we have Tamlin and oh man Tamlin is the best! Amazing swoons! Every where I go , I see little teasers from Sweet. I am so jealous. Can't wait to get a hold of this book. 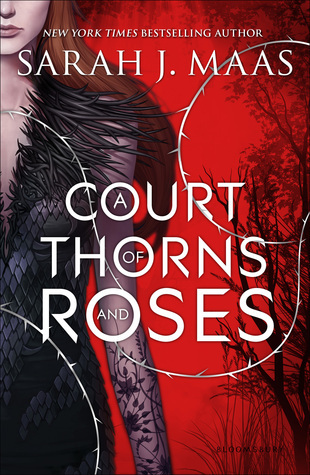 I'm with you Jessica... ACoTaR was AMAZING! Loved it so much!